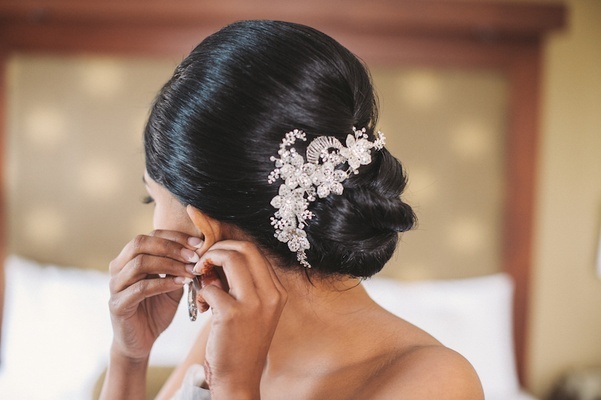 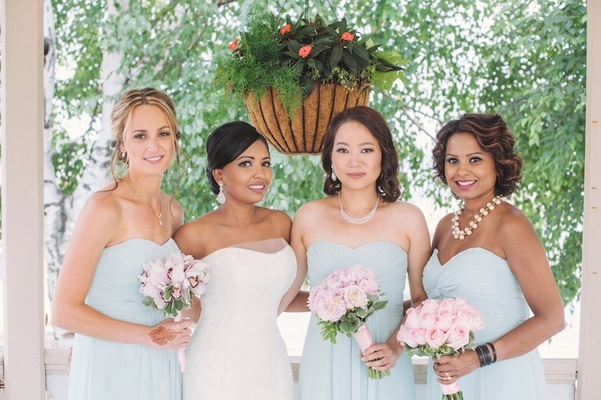 For Shoilee Shams, settling on a color palette for the big day was an easier task than for many brides. 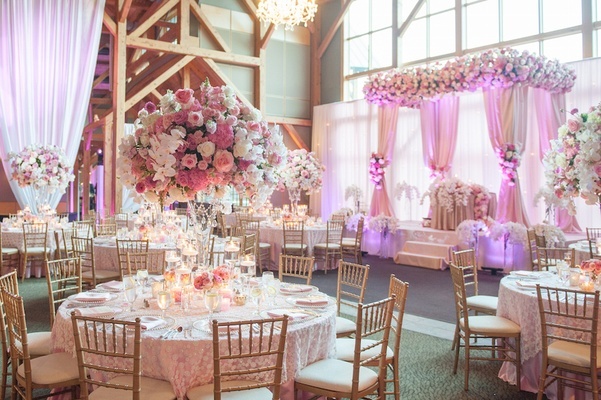 “My detail-oriented personality was definitely reflected in the wedding planning and execution,” she laughs. 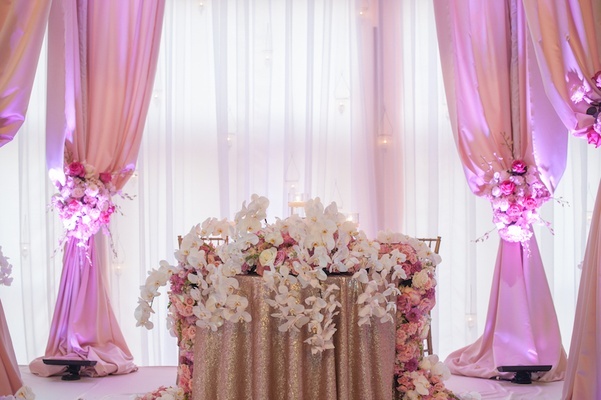 Shades of pink, gold, and ivory guided the look of the couple’s sophisticated celebration held at a picturesque venue nestled in a pristine wooded area of New York. 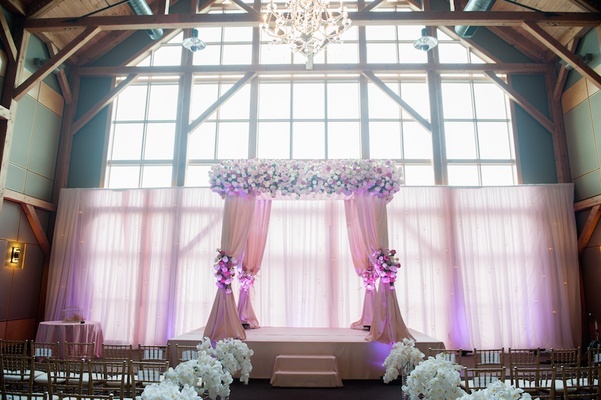 Shoilee adds of her vision for the affair: “I also wanted it to be classic, romantic, and overall, simply gorgeous!” These characteristics were carried throughout the event, from the bride’s elegant Vera Wang dress, to the dreamy décor, to the ambient mood lighting. 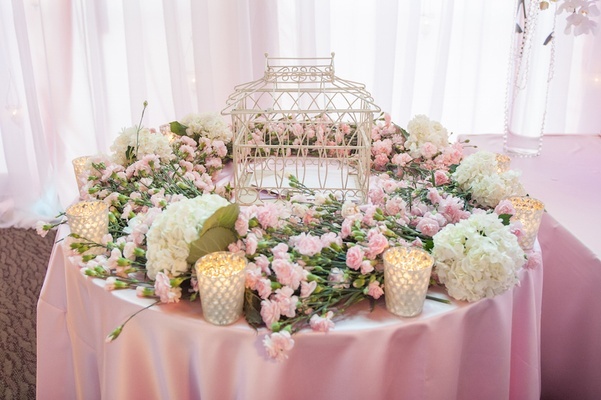 To help bring the special day to fruition, the couple, whom are both busy electrical engineers, knew it would be a smart decision to immediately hire a wedding consultant/designer, as well as a list of other event professionals. 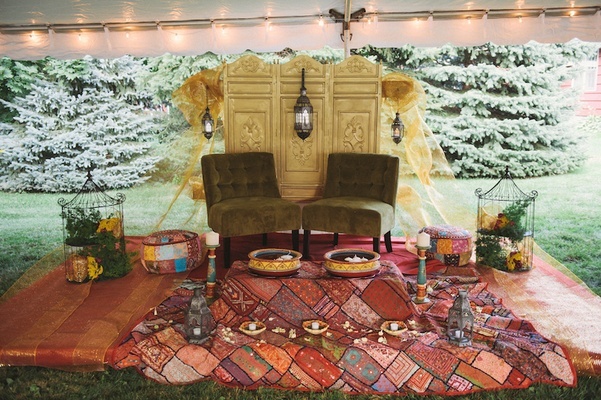 “We chose each vendor based on their stellar reputation,” says the groom. 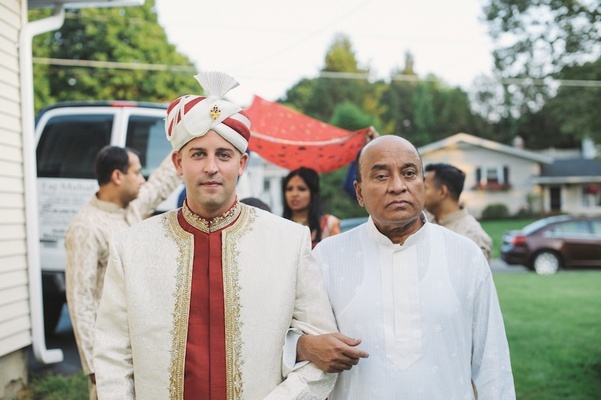 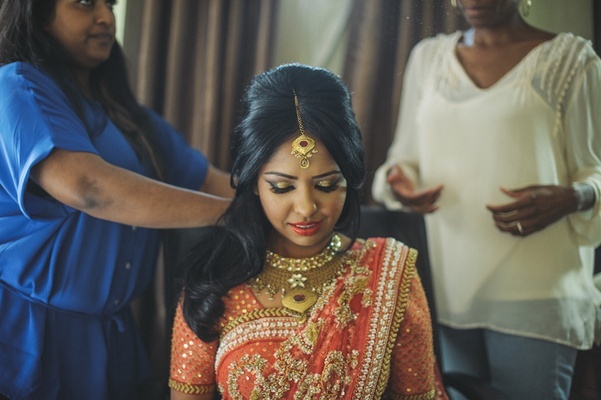 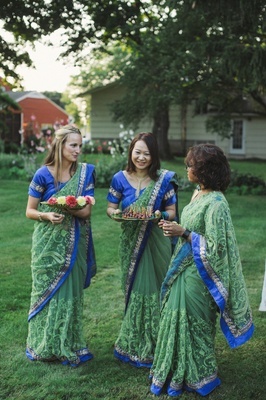 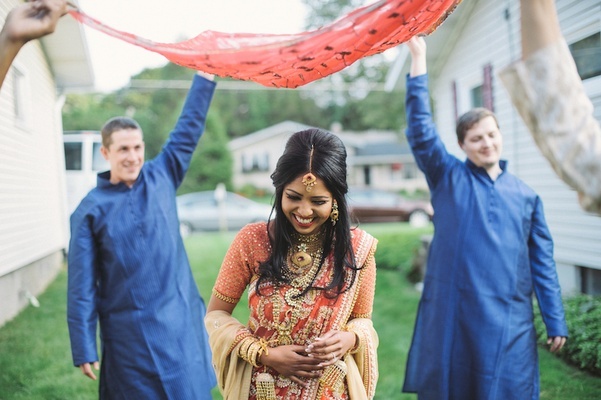 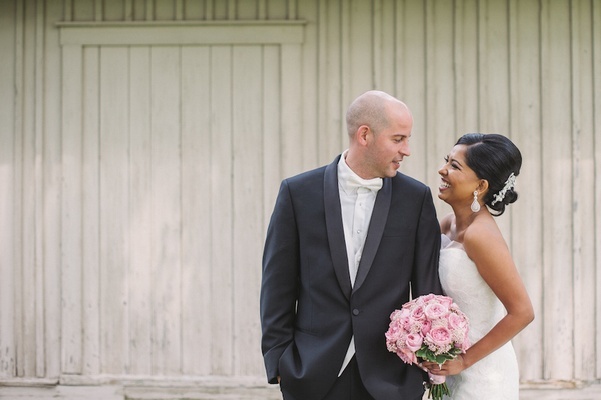 Shoilee and Robert wanted to incorporate aspects of their ethnic backgrounds, so the pair planned a traditional Bangladeshi mehendi fête to represent the bride’s heritage, in lieu of a customary Western rehearsal dinner. 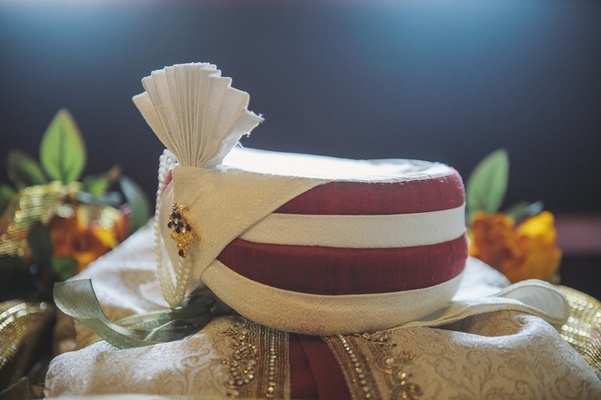 Robert’s relatives took part in many aspects of the planning, and participated in time-honored gift exchanges and blessings between the two families. 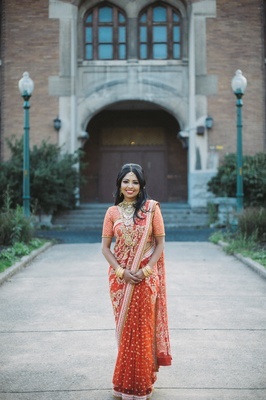 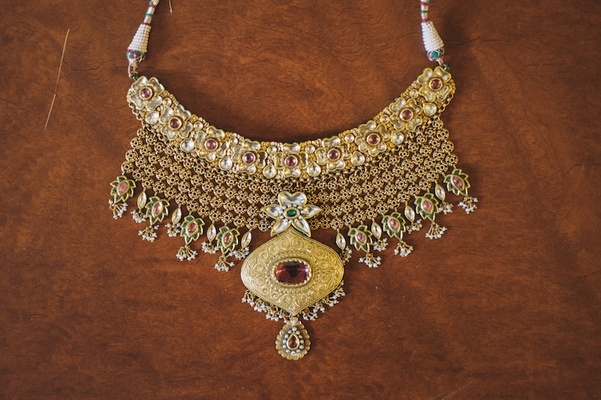 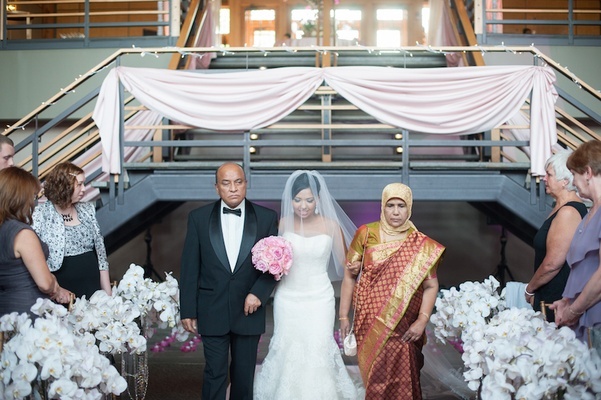 The couple wore classic Bangladesh wedding attire in vibrant colors, and Shoilee was beautifully accessorized with dazzling yellow-gold accessories. 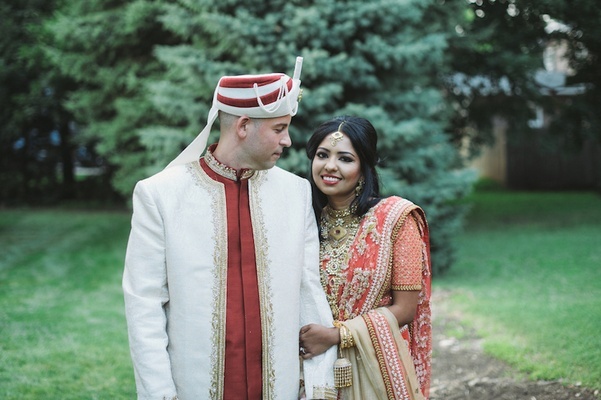 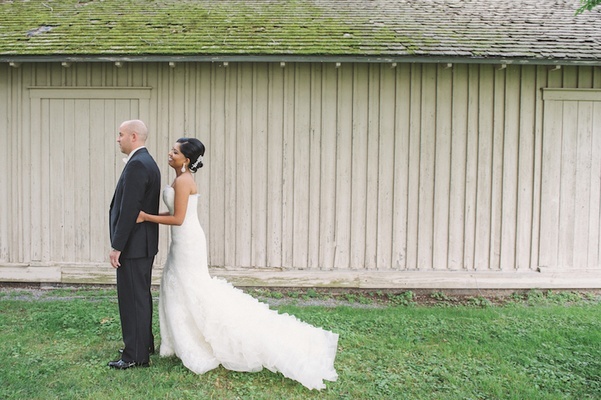 To honor the groom's heritage, “We opted for a traditional American ceremony, which was the first for many of my family members, including my parents,” shares Shoilee. 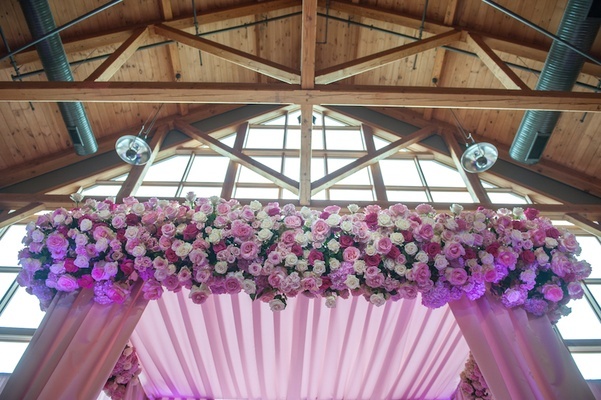 The makeshift altar was decorated with plush fabrics and hundreds of fragrant roses and hydrangeas in tones of plum, blush, and vanilla. 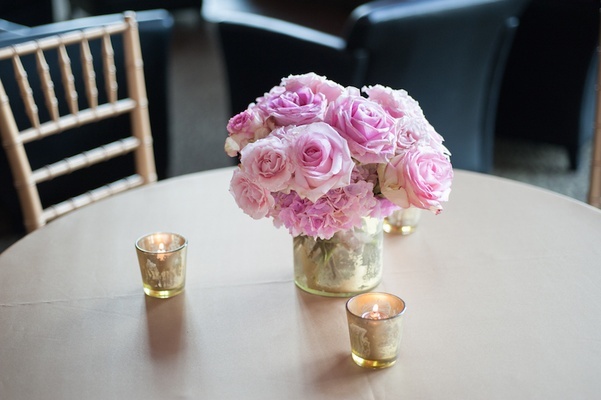 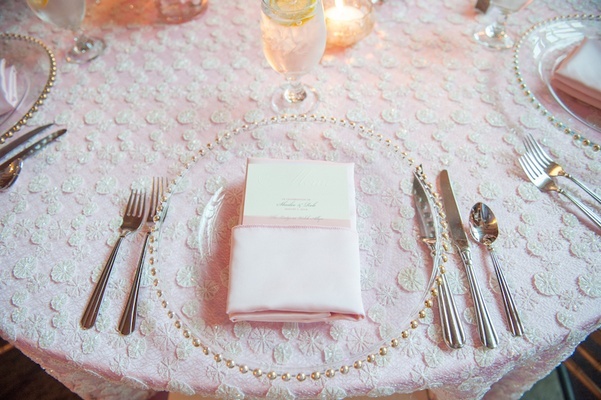 For the reception, golden chiavari chairs surrounded round tables covered in rosy linens with cream sequined overlays. 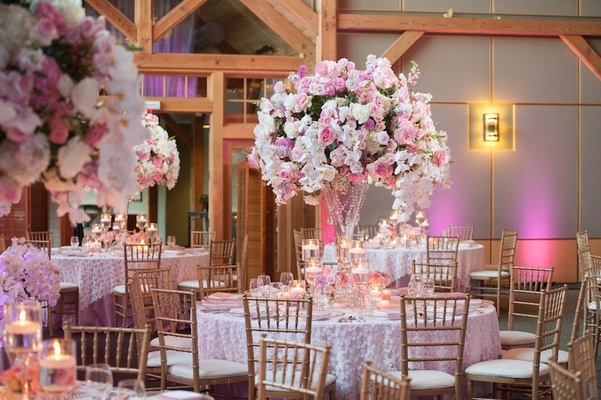 Impressive centerpieces displayed dangling crystals, as well as bright white orchids, dahlias, phalaenopsis, hydrangeas, and lush roses. 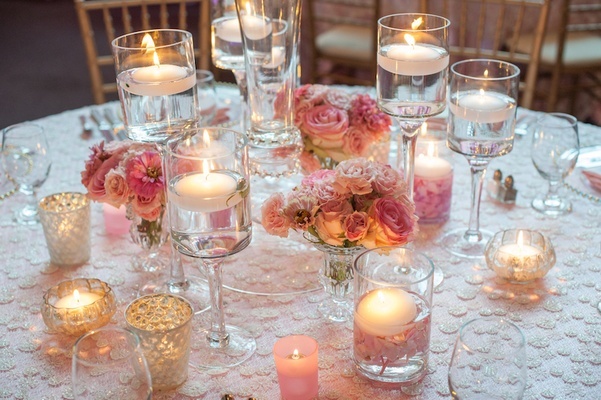 Candlelight, gold-edged chargers, and crystal glassware rounded out marvelously crafted tablescapes. 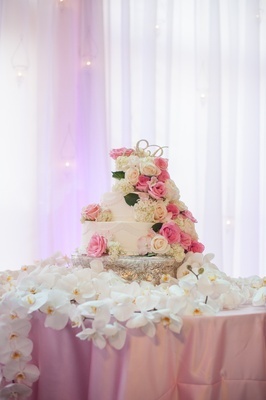 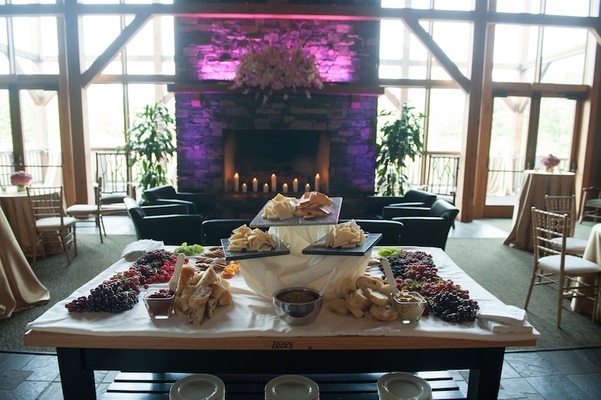 Five scrumptious food stations were provided for dinner, as well as generous slices of either white cake with lemon and raspberry filling or red velvet cake with a delicious chocolate center. 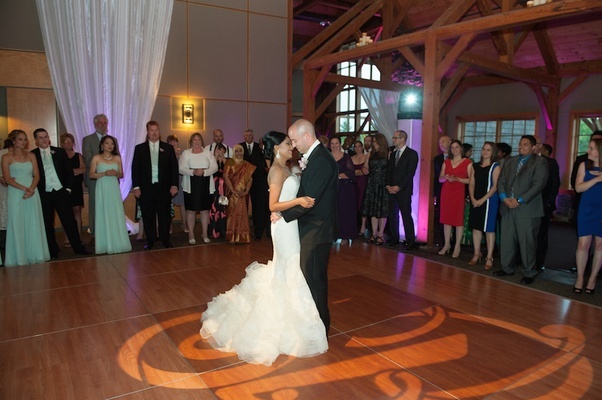 Dancing ensued, until the evening concluded with a firework show – a surprise treat the couple had planned for their 100 guests. 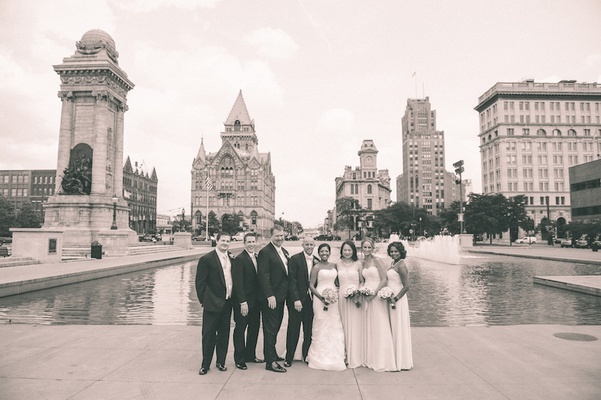 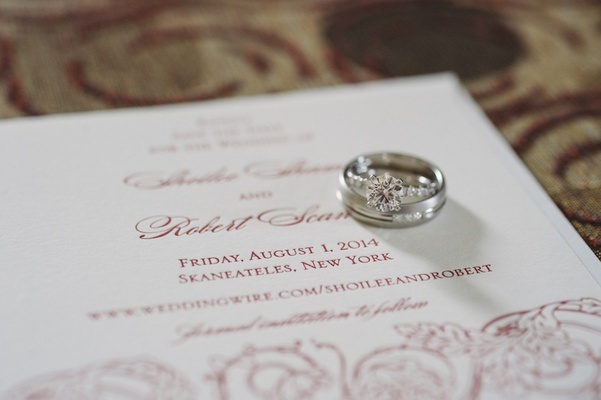 Even with all the advice and options offered by their wedding vendors, Shoilee and Robert decided on final selections together, and encourage other engaged couples to start coordinating early, to be consistent, and to work as a team. 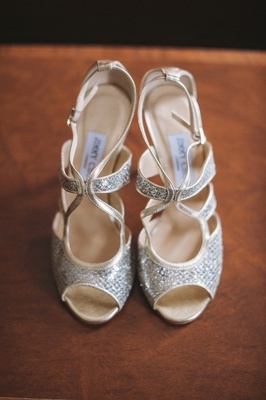 “Ultimately, [the decisions] need to be made by you if you have a specific vision in mind,” asserts the bride. 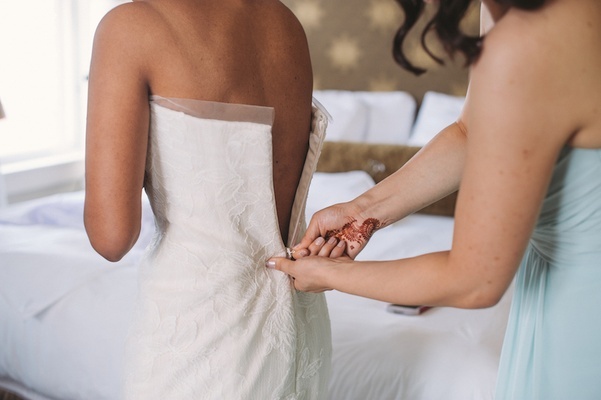 “And, no, I didn’t follow my own advice,” she grins, “but our planner saved us in the end!